What’s going on peeps? We no like colors anymore? Partial List that I translated, for a full list, click here. If there are mistakes, let me know! Cheryl Yang (The Queen) in a sleek white gown with thigh-high slit. Confident but her face screams stiffness! Cast of the Sun After The Rain. I did not watch this drama but it is critically acclaimed at the ceremony. Anyone? 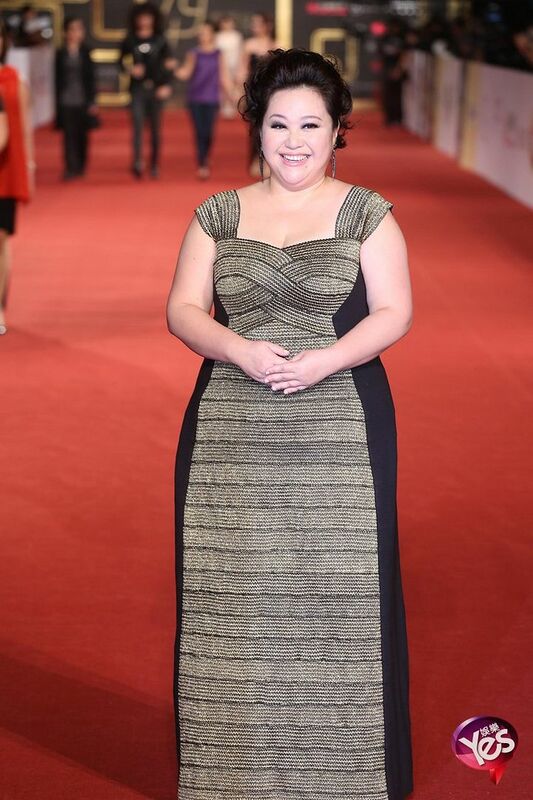 I think no one expected Chung Hsin Ling to win Best Actress against all the other popular ladies. I always remember her as the perennial pregnant sister in many dramas, especially in Fated to Love You. It is an emotional speech and night for the actress and she thanks everyone for loving to watch TV. Congrats! Tian Xin presenting the award to Hsin Ling. Aww. Ella Chen (The Game of Lies) looking good. These dresses all come with a bare back. Lol. Joelle Lu. Aw. I remember her from the Outsiders. But she’s here today for Once Upon a Time in Beitou. It’s a nice red dress but very unflattering on someone without the cup to show off. The attention then falls on real life married couple Li Yi and June Tsai as they share a sweet kiss while strutting down the red carpet. Christopher – forever a classy, handsome man. 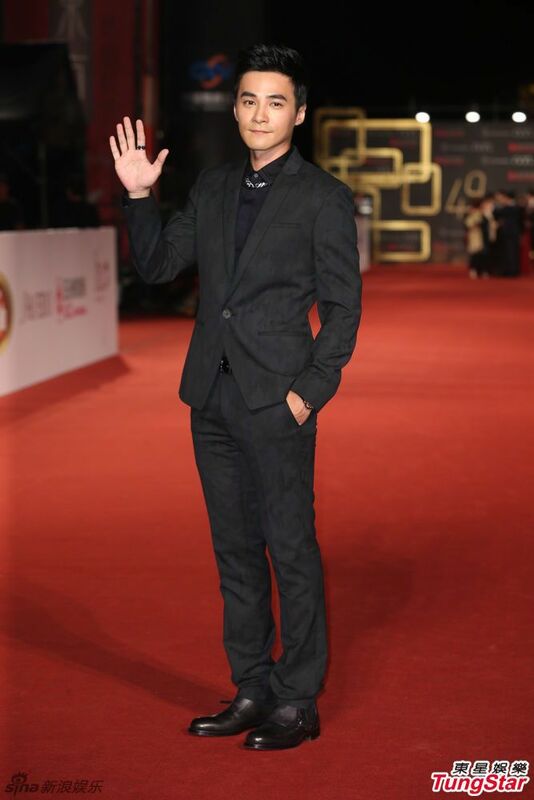 The Best Actor award is his first award outside of Singapore. 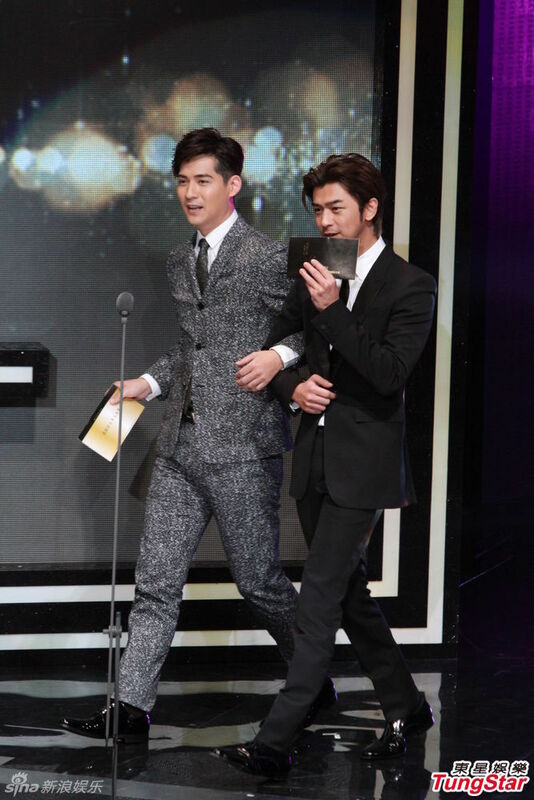 The happiness on Tian Xin’s face when he wins Best Actor Award is priceless. This is gonna be a long-lasting friendship. Leroy Young (The Way We Were) with Bianca Bai (If I Love You). I did not recognize her AT ALL. Great smile! 🙂 Trust me when I say we need that tonight of all nights. If I told you this young lady, Jenny Wen, is 22, would you believe me? Based on her style? Kids these days. Tskkk! Best Actress in a Mini-Series, Ivy Yi. 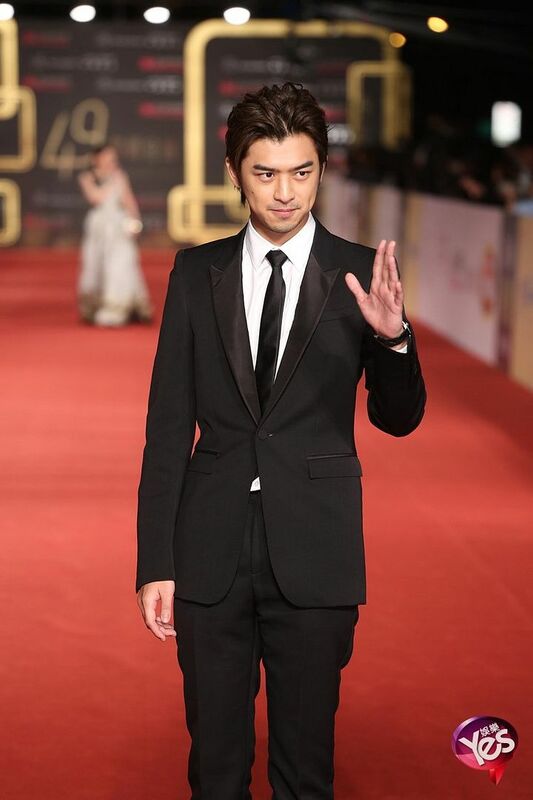 Haven’t seen Bowie Tsang in a long time. She’s Eric Tsang’s daughter! That fact always slips my brain. A casual and safe dress. 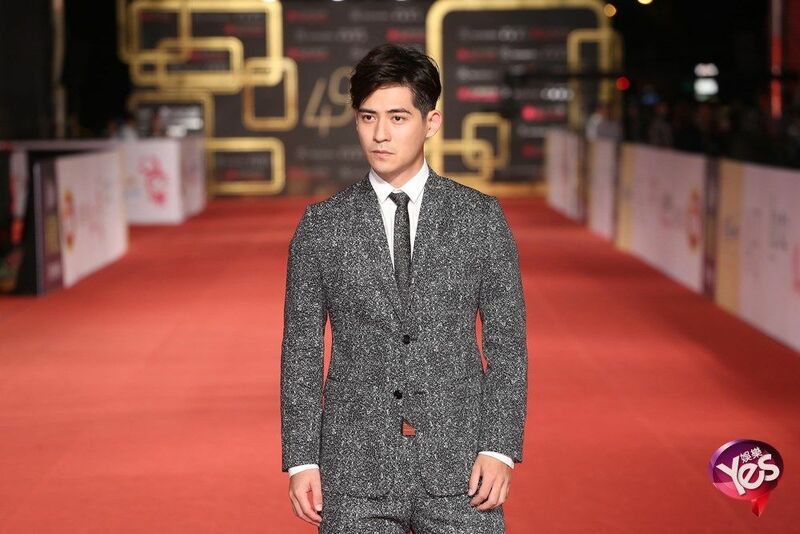 Vic Zhou. Does it kill you to smile, dude?! He just looks so miserable. And I miss you in dramaland. 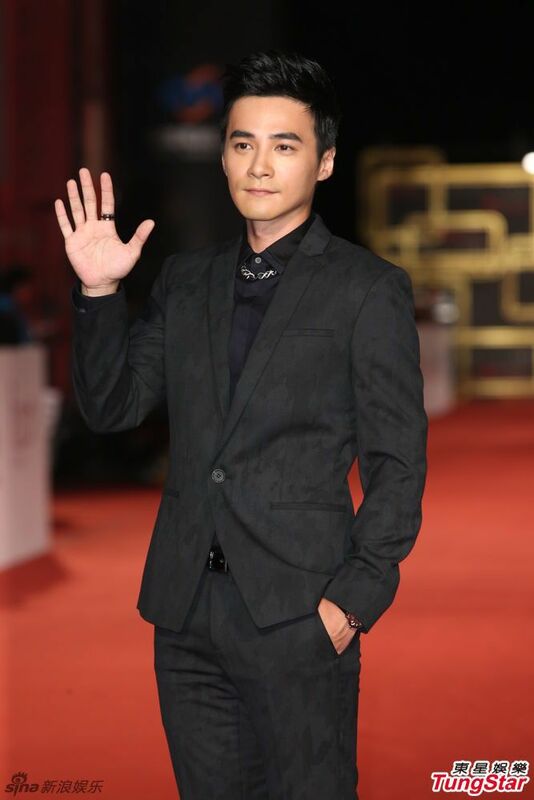 Joe Cheng (You Light Up My Star) arrives with little lady Amber Kuo. She’s only 28….but the hair ages her. Baby-faced Chris Wang leads the way for Sandrine Pinna (The Patisserie with No Name). I like his maroon suit and bowtie. Cute. 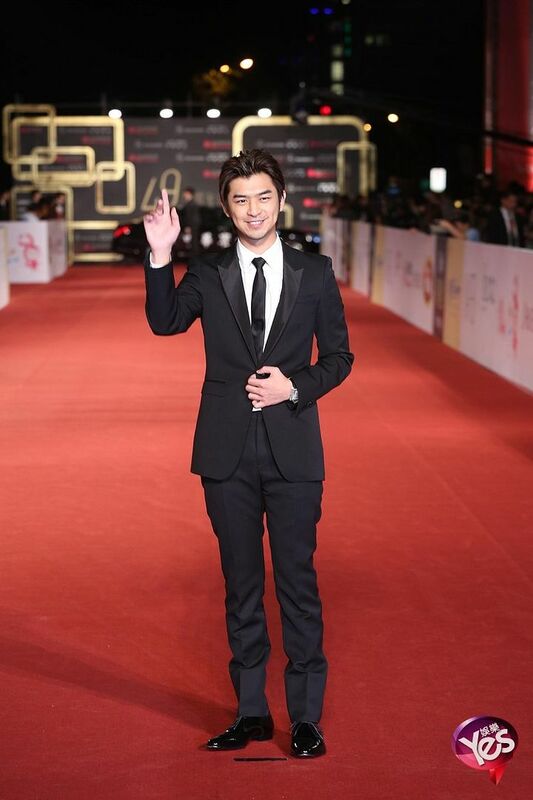 His latest drama, Aim High, premieres yesterday. Remember to tune in. It’s another friendship drama. Oh boy. But I’m gonna check it out! Another slit so high up. The iffy chest area again. Ladies, be smart! Blue Lan (Apple In Your Eye) in the arms of his wife, Jade Chou. Aw, they got married this past May after rekindling their love in See U Hokuriku. Nope. If you don’t smile, I’ll be mad, Bolin Chen. No, I don’t want your shy wave! On the one hand, I’m surprised not a lot of Taiwanese Stars showed up. 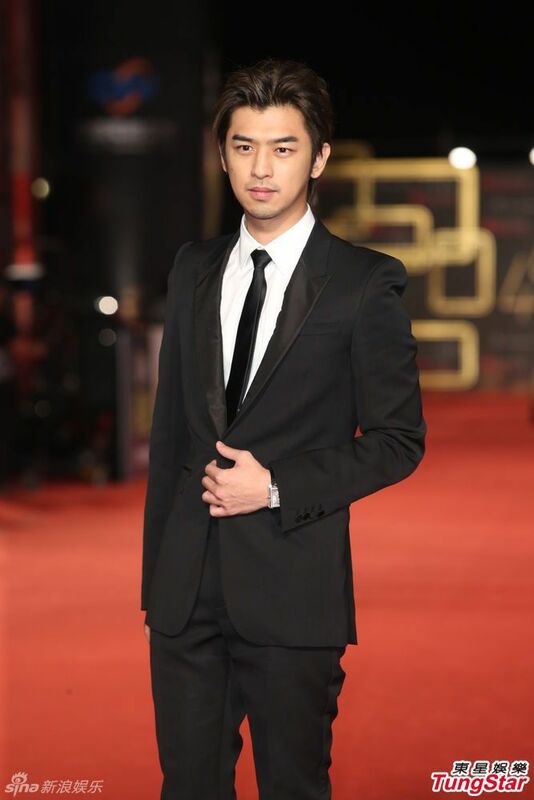 I was expecting more celebrities – Ruby Lin, George Hu, Janine Chang, Aaron Yan, Chris Wu, etc. On the other hand, I’m pretty foreign to the names of this year’s winners. Is it just me being out of Twdramaland loop? 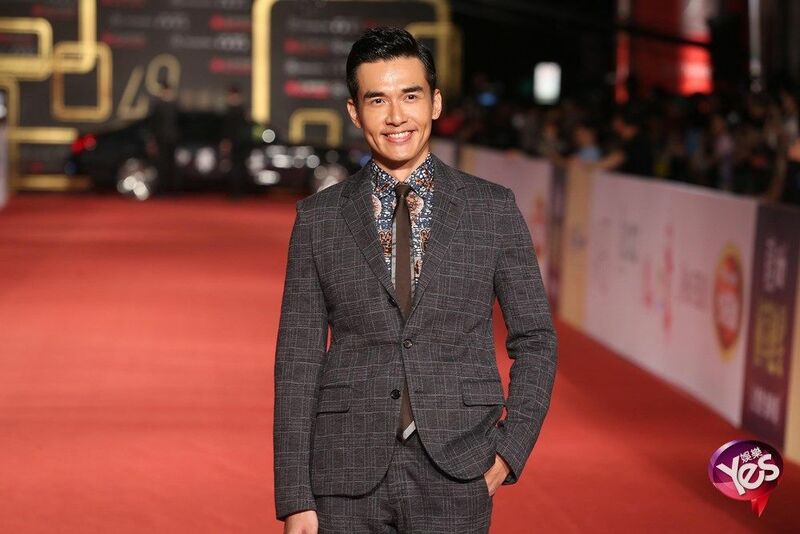 This entry was posted in Entertainment News and tagged Award Show, Bianca Bai, Blue Lan Zheng Long, Bolin Chen, Cheryl Yang, Chris Wang, Christopher Lee, Ella Chen, Golden Bell Awards, Jay Shih, Jenny Wen, Joe Chen Qiao En, Joe Cheng, Leroy Young, Sandrine Pinna, Tian Xin, Vic Zhou by Kappy. Bookmark the permalink. wow, cheryl looks so scary and stiff even if she pulled off the plain white dresss…. did she have new botox injection or what? nobody stood out and the dramas that won awards, i didn’t even watch. Lols. why is everyone so sad-looking here? did they know they are not gonna win beforehand so hence the sad face? bolin looks like he wore the same tux from last year. vic looks like you said, sad. omg. what terrible ceremony! If The Way We Were gets nominated next year I’m sure Ruby will come, since she wants a Golden Bell so much. Plus it will be the 50th edition, hopefully more stars! haha I did not know she wants a golden bell very much. XD What awards do you predict for TWWW? So the only way to have a real smile out of him…. I would love to know about Sun After the Rain. I read the synopsis and it doesn’t really stand out. All the ladies look so much older in this event. Christopher Lee is THE MAN! He looks young and stylish. The younger actors need some tips from him. 🙂 Bolin, take notes! Viki is subbing it so do check out their progress! Vic has always been a party pooper. He’s lucky he’s super good-looking lol. Bolin looks so cute, but then again he’s always super cute to me. I love that man.